Military financial aid is offered to officer candidates in the form of tuition assistance and monthly pay in return for the student’s promise to serve as an officer in the Army, Navy, Air Force, or Marine Corps. Most of these scholarships are awarded to high school seniors who go directly to college. The benefits consist primarily of reduced or free tuition and an allowance of $100 to $150 per month if the student is enrolled in the Reserve Officers’ Training Corps or ROTC. ROTC units are located on college campuses and provide military training for a few hours a week. By participating, you can become an officer and be eligible for financial aid. The military trains you and pays you to learn at the same time. Through the ROTC program, you can become an officer in the Army, Air Force, or Navy. Students interested in the Marine Corps can participate in Naval ROTC. ROTC programs are not currently sponsored by the Coast Guard or Merchant Marine. How can you participate in ROTC? The primary type of ROTC scholarship is the four-year tuition scholarship program. These are awarded to high school seniors on the basis of a national competition, and each year more than 4,000 winners are selected from about 25,000 applicants. Recipients of four-year Army, Air Force, and Naval ROTC scholarships for college may attend either a host college or an approved cross-enrollment college. In return for an Army ROTC scholarship, you must serve eight years in the Active Army, Army Reserve, or Army National Guard, or a combination thereof. For college scholarships from other services, four years’ active duty service is required. If you decide to compete for a four-year ROTC scholarship, it’s important that you apply to a college that accepts it. A smart strategy is to apply to more than one participating school, as you may not be accepted at your first choice. 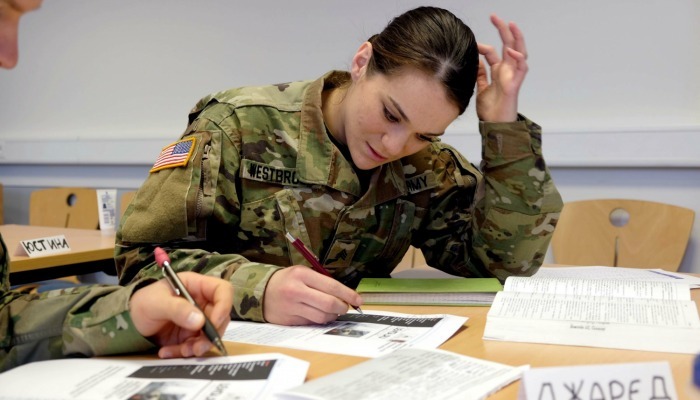 You may be required to major in a specific area if you are awarded an Army or Air Force ROTC scholarship, so you’ll need to pursue acceptance in your area of study as well. For example, if you win an Air Force ROTC scholarship for engineering, you must be accepted into the engineering program as well as to the college. There is more to life as an ROTC student than just receiving money for college. Each service branch that offers an ROTC program signs an agreement with several colleges to host a unit on their campuses. Each of these units has a commanding officer, a staff of active-duty officers, and enlisted service members who conduct the military training. This instruction includes military science classes as well as drill sessions which focus on developing leadership qualities through participation in military formations, physical fitness routines, and field exercises. As a member of an ROTC unit, you are a part-time cadet or midshipman. You are required to wear a uniform and adhere to military discipline when you attend an ROTC class or drill, but not at other times. Most of the time, you can enjoy the same lifestyle as a typical college student, as the ROTC component averages only about four hours per week. You must remember, however, that you are being trained to become an officer when you graduate and that you will have a number of additional obligations and responsibilities. Need money for college? Peterson’s Scholarship Search helps you find the scholarships, grants, and loans you qualify for.